Fringilla lapponica Linnaeus 1758, Lapland. Two subspecies. 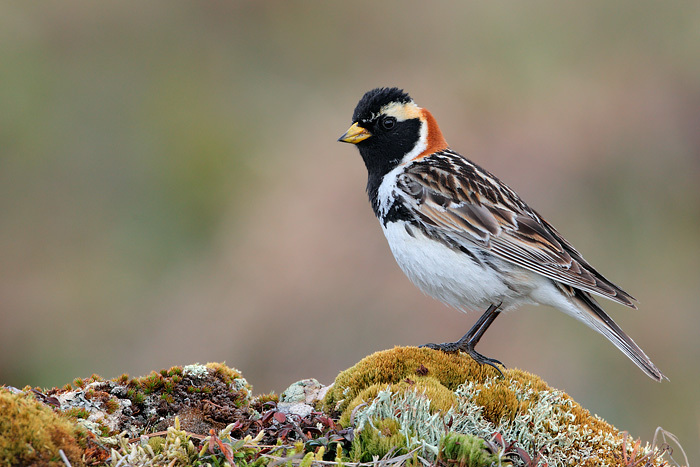 English: Alaska longspur, lapland bunting; French: Bruant lapon; German: Spornammer; Spanish: Escribano Lapуn. 5.5–7 in (23.5–17 cm); 0.95 oz (27 g). 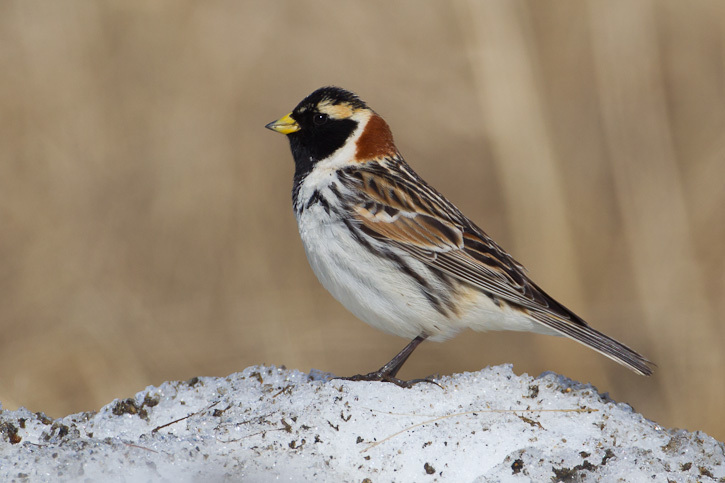 Lapland longspurs are large, strong-flying sparrows. The sexes differ in color. 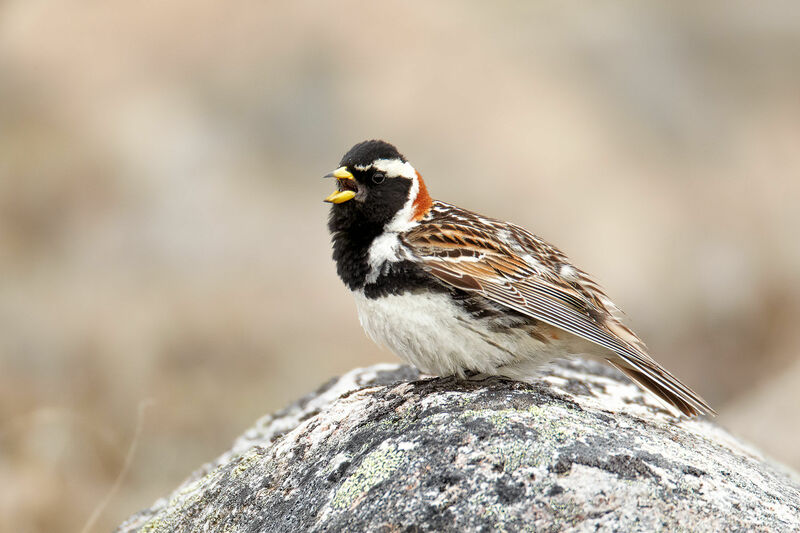 Breeding males have a black face outlined with buff white stripes above the eye and behind the ear, the back of the head and nape are bright rusty, and the bill is bright yellow with a black tip; they also have a black bib. 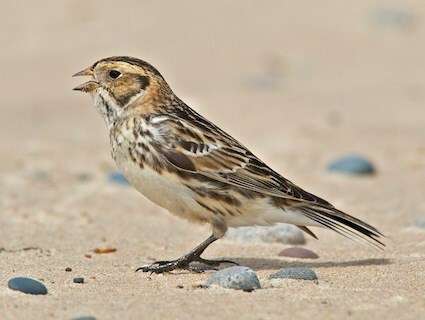 Females have a buff stripe over the eye and buff ear coverts that are outlined in black, and the throat is blackish. Juveniles have streaking on the crown, in the buff line over the eye, and on their underparts. Monogamous. The nest is a cup of rather coarse sedges placed in a depression in the ground. 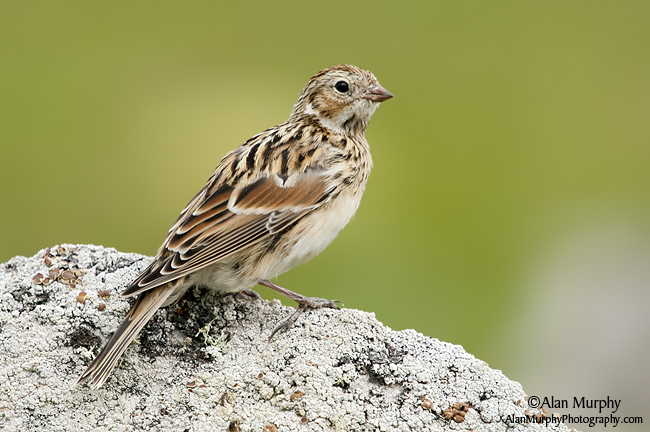 They lay one to six (usually five) eggs; incubation requires 10–14 days, and the young fledge after 8–10 days. Both parents feed the young. Nesting takes place from late May through early July.